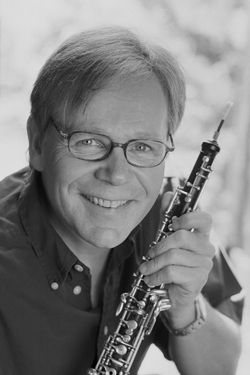 New Jersey Symphony Orchestra Principal Oboe ROBERT INGLISS (The Arthur E. Walters and Marjory S. Walters Chair) is also principal oboe of the Santa Fe Opera and oboe soloist with the Orquesta de Cámara de Valdivia of the Universidad Austral de Chile. He has toured worldwide with the Orpheus Chamber Orchestra, with whom he also has appeared as soloist, and has performed with An die Musik, the Cygnus Ensemble and the Manhattan Sinfonietta. An avid proponent of contemporary music, he has premiered works by Babbitt, Carter, Dalbavie and many others. His recording credits and performances on soundtracks for film and television are as varied as they are numerous. He has taught at Brooklyn College Conservatory, Columbia University, Sarah Lawrence College and SUNY/Purchase. I became Acting Principal Oboe beginning with the 2007–08 season at the behest of Maestro Neeme Järvi as a result of my substitute appearances with the NJSO during the previous season. You won the NJSO’s principal oboe audition after appearing with the Orchestra several times in the past. What does that mean to you? First of all, in this economic climate it’s great to have a job at all. But playing with the NJSO would be a privilege at any time. Every member is a first-class musician, and, most importantly, rehearsing and performing in this orchestra feels like playing chamber music—everyone’s listening and fully invested in the final product. What inspired you to start playing the oboe? Well, at an early age I actually wanted to play the violin, but I grew up in a small town—Madison, Connecticut—that didn’t have a string program, and I would have had to travel 35 miles to the “Big City” (New Haven) in order to study. So, my parents decided to wait until I was 11 and could take up a band instrument. I chose the oboe because the timbre was most like the instrument I had originally wanted to play. I love playing with my one-year-old, and maybe getting some exercise, but with all the chamber music and contemporary music groups I play in and my teaching at Columbia and SUNY-Purchase, free time is at a premium! Besides classical music? The great flamenco guitarist Manitas de Plata, some Coltrane, even an Argentine pop singer named Juana Molina. I believe it’s important to listen to all kinds of music; after all, music from Bach’s instrumental suites through Beethoven and Mahler to today’s minimalists is about popular and/or folkloric music. If you don’t understand dance music and love songs, you’ll never be able to play the classics as the composers intended. Hmm … my mountain bike and the complete works of J.S. Bach. Maybe a Swiss Army knife and some matches, too!